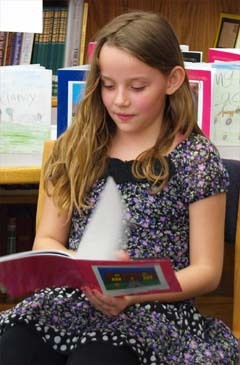 Students clutched their books with nervous excitement, as they waited for their turn to take the seat of honor. 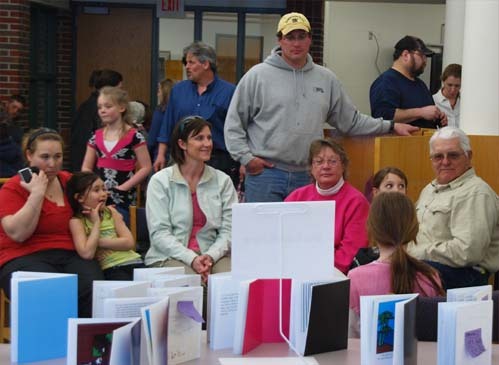 In their hands were original masterpieces � books they had authored themselves � and now it was time to share these works of art with their families and schoolmates. 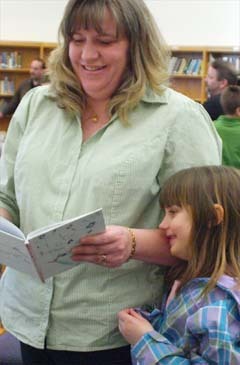 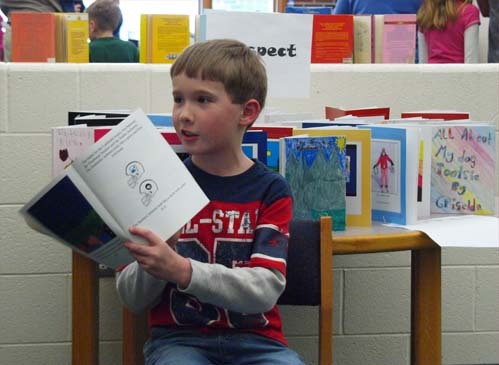 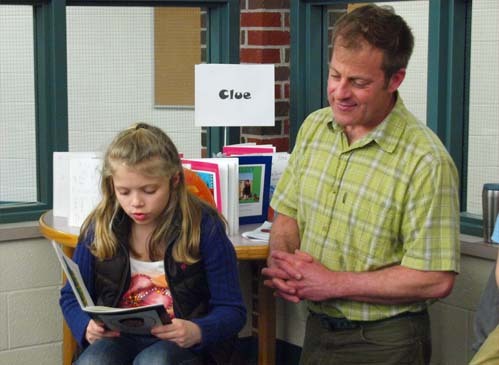 On Thursday, April 7 in the Onekama School media center, students in Kindergarten through Fifth Grade participated in Young Author�s Night. 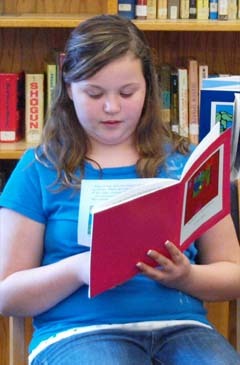 The annual event gives students an opportunity to share their writing in a public and celebrated way. 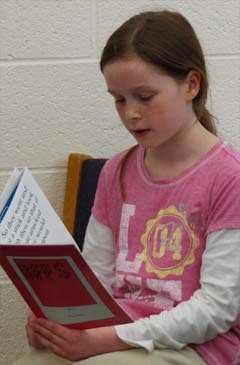 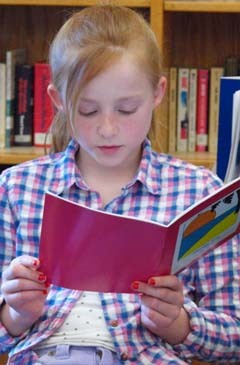 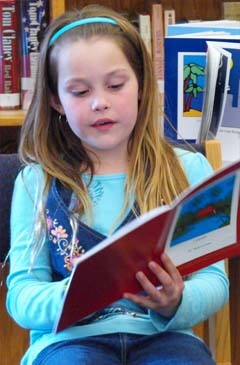 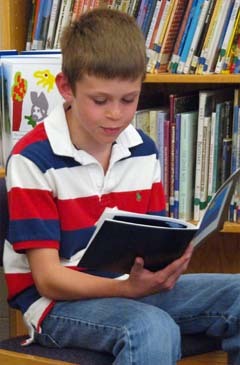 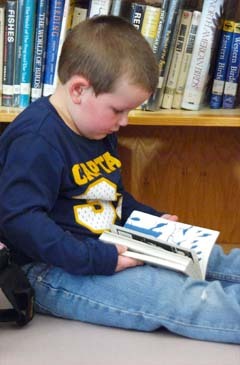 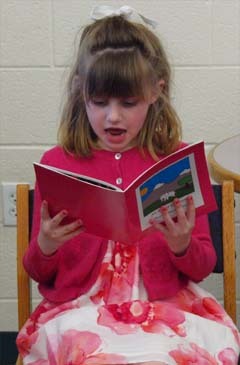 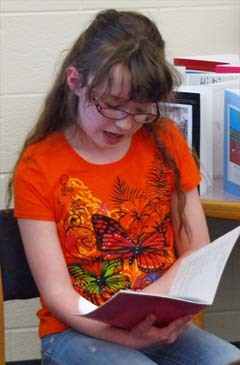 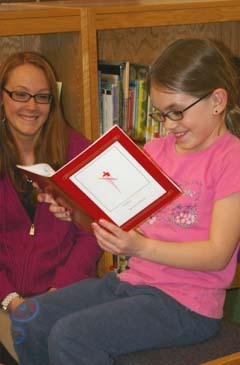 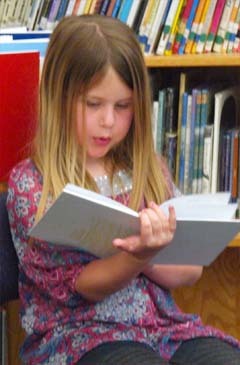 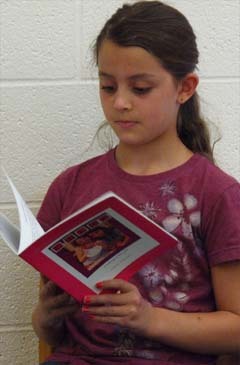 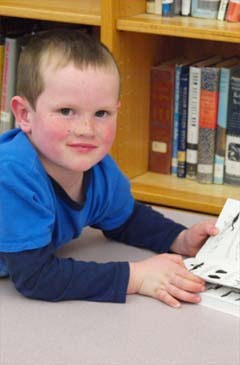 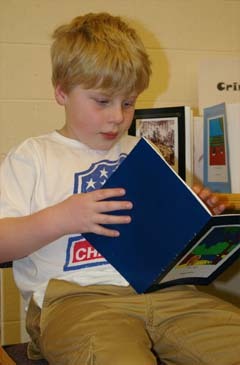 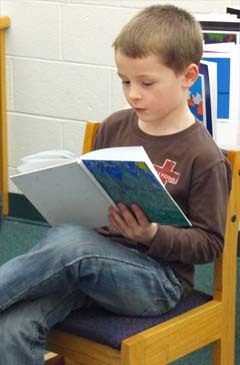 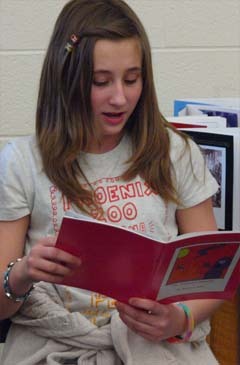 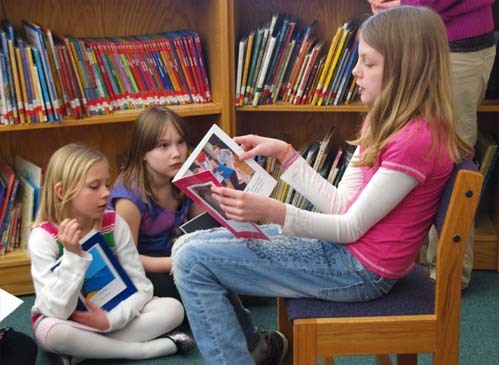 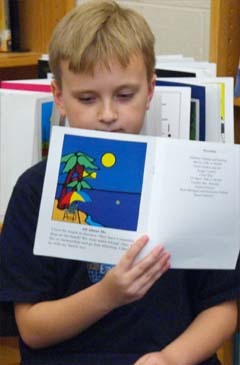 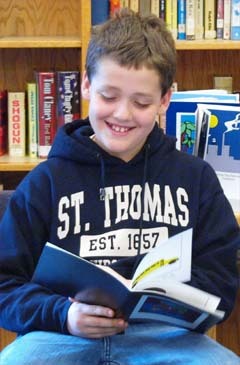 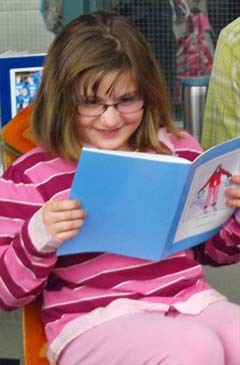 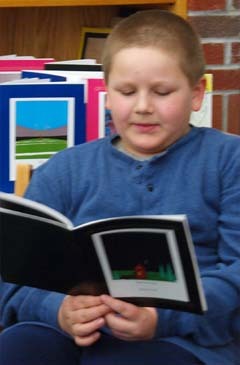 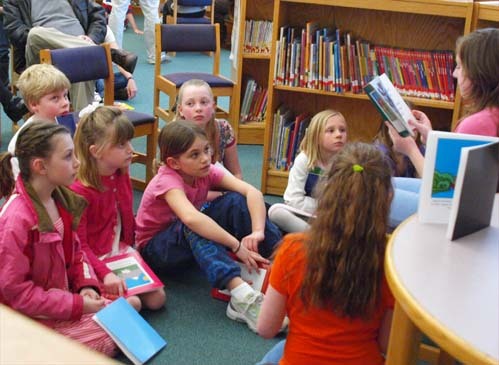 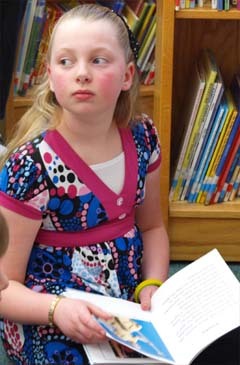 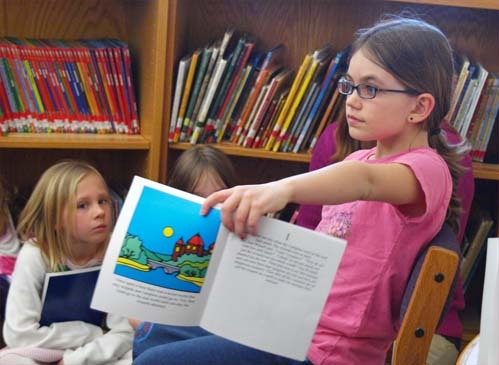 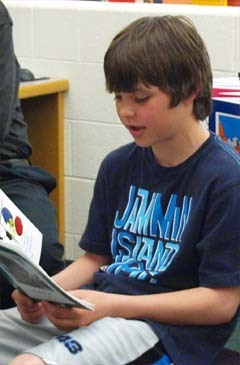 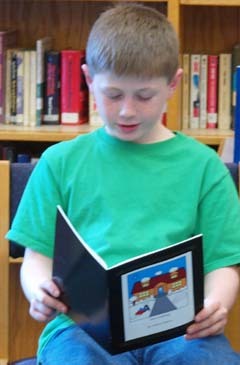 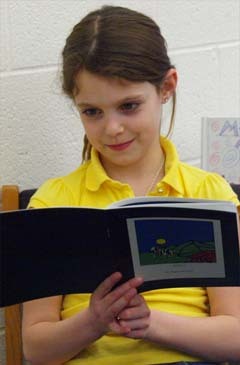 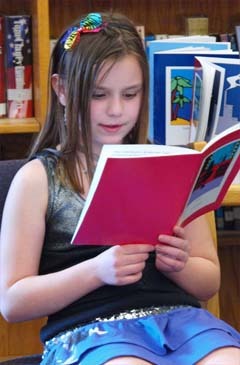 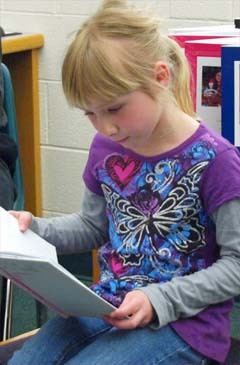 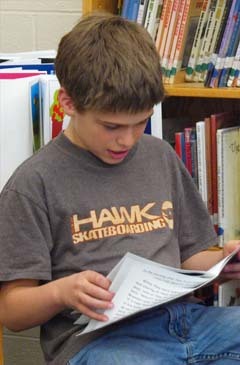 Working in mixed-age groups, students took turns sitting in the author�s chair and reading their stories aloud. 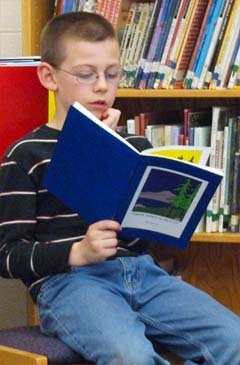 Stories ranged from non-fiction books about animals to imaginative short stories and touching memoirs. 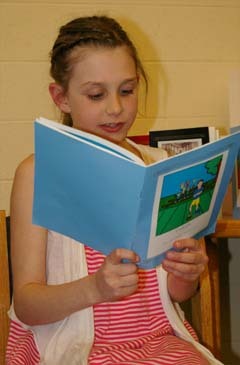 This year, some classes used Student Publishing to create their books online. 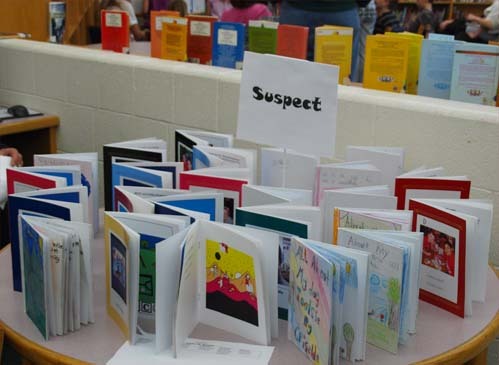 Students in Mrs. Lyman, Mrs. Catanese, Mrs. Bennett, Mrs. Brown and Mrs. Bromley�s classes piloted the new web-based program, and their students received professionally-bound and published paperback books. 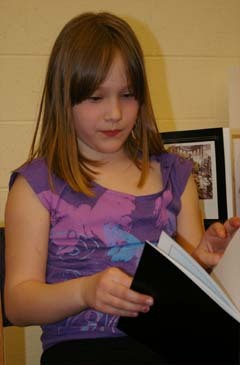 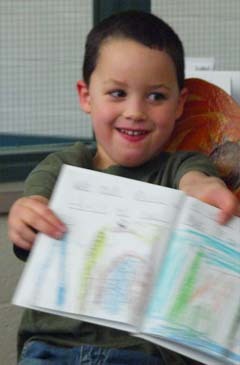 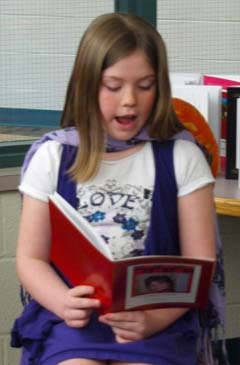 Other classes used traditional bare books to write and illustrate their stories. 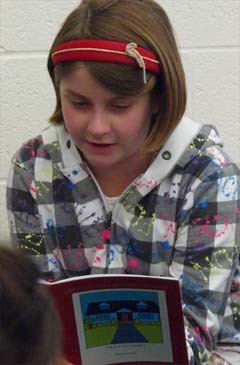 Student participation increased this year from 60 to 75 students. 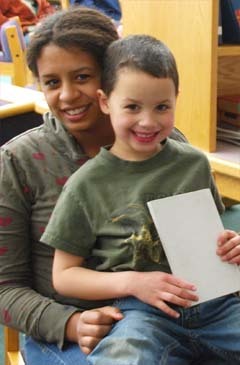 We also increased from four to seven leaders: James, Kelly L., Robin-Marie, Ben, Sally, Kelli H. and Chelle. 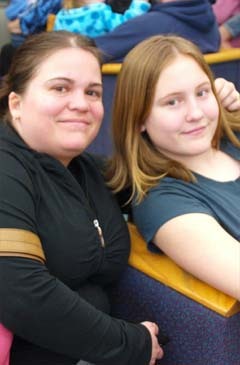 Last night wouldn't have been possible without you! 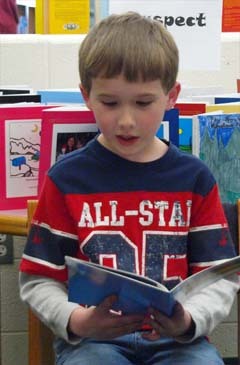 The staff did a wonderful job helping students prepare their books. 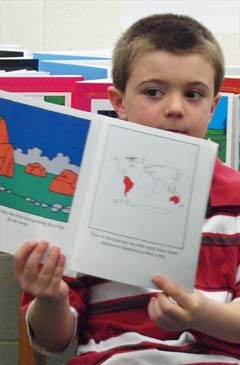 There were some wonderful books. 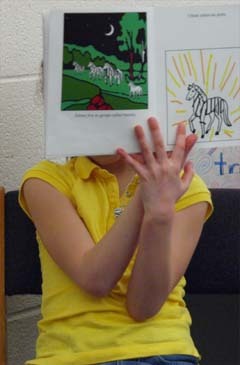 ~Mrs. 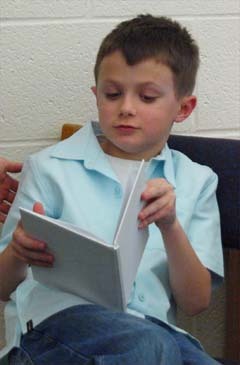 N.